We may be more than two years away from Guardians of the Galaxy 2, but that’s not going to stop anyone from wondering who is going to appear in Marvel’s next cosmic adventure. There are lots of things to consider, like the identity of Peter Quill’s father, who director James Gunn’s favorite character is, and what new superheroes will join the fray. Over the weekend, Gunn participated in a Q&A session and shed a little bit of light on the film, including at least one character who won’t appear. 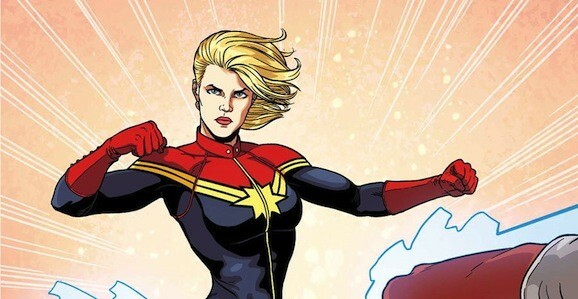 When Marvel made that big announcement laying out Phase 3 of their Cinematic Universe (which has since been rearranged due to Spider-Man returning home), one of the new additions was Captain Marvel, who will get her own movie on November 2, 2018. She plays a key part in the deep space side of Marvel’s comics, and many suspected she could show up in Guardians 2. Gunn has said this isn’t the case before, and reiterated that fact this weekend. When asked about his idea actress for the role, Gunn bluntly replied, “I don’t know. I don’t think about casting movie characters who aren’t in my movies.” It would have made sense, as the origin story follows Carol Danvers, a NASA security director, who becomes a human/Kree hybrid, and we all know how the Kree figured into Guardians. So since Captain Marvel isn’t going to show up in GotG2, it begs the question, where will she appear first? There are a lot of potential places she could pop up between now and then, but the most likely place seems to be Avengers: Infinity War—Part 1, which opens May 4, 2018, just prior to her solo project. Speaking of that movie, Gunn also said he has no interest in directing that now that it looks like Joss Whedon is done helming Avengers movies. While we won’t expect to see Captain Marvel in Guardians 2, we do expect to see the main core return, including Star-Lord, Gamora, Drax the Destroyer, Rocket, and Groot. Gunn also added that there will be more familiar faces among the secondary players, including Nebula (Karen Gillan), Yondu (Michael Rooker), and Kraglin (Gunn’s brother Sean). Guardians 2 is also in for a change of scenery, sort of, as the production will follow fellow Marvel movies Ant-Man and Captain America: Civil War to Atlanta. They’ve been bouncing between Georgia and Pinewood Studios in London lately, and this movie necessitates big changes to the crew. Guardians of the Galaxy 2 opens everywhere May 5, 2017. There is a possibility she first appears on AGENTS OF SHIELD (if the show lasts that long) or any movie from this point forward. As the show is considered cannon also for the Movie Universe (things that happen in the movies reflect in the show) we know the Kree / Human Hybrid is an inhuman and their powers are activated is through the Terrigen Mists. We already have examples in the show (Sky) and in the movies (Scarlet Witch, Quick Silver) of this happening. We also know that James Gunn’s favourite character is Bug, so I don’t know why there is controversy or speculation!